Learn first shapes and love it! 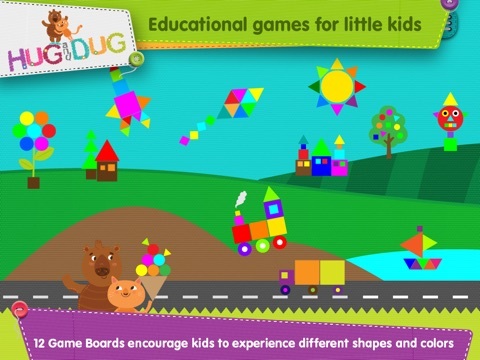 Amazing easy puzzles with a surprise at the end of each board to encourage your child to play and become familiar with circle, triangle and square. 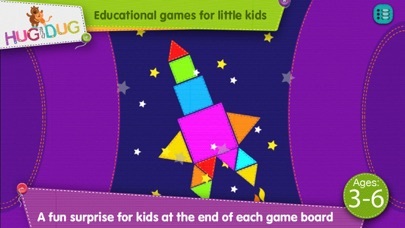 Full version with no in app purchase or ads so your child could play and learn without any interference. 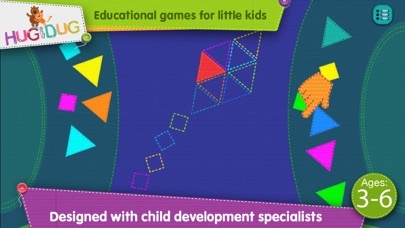 By matching shapes and colors, kids create real animated puzzles. A spaceship puzzle emerges into a flying spaceship, a fruit tree is suddenly filled with birds, a boat that suddenly sails in the ocean. 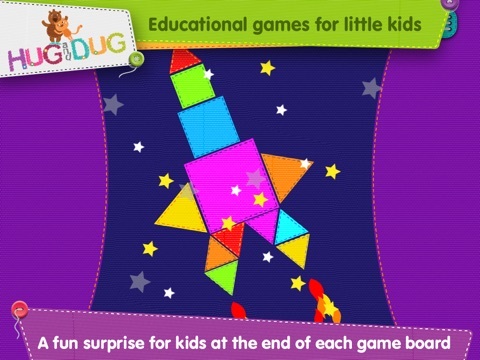 Enjoy numerous engaging and fun animations on every page. Your child will learn to recognize shapes in their real-life context. 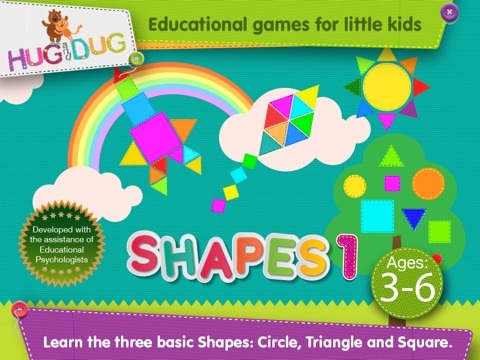 The shapes currently included are circle, triangle, and square. 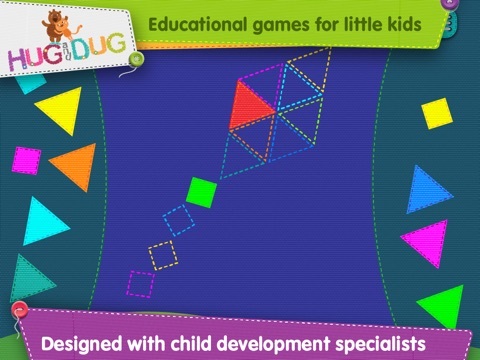 With the HugDug Animated Shapes puzzles, toddlers and older kids are encouraged to learn about shapes and colors be interacting with and solving easy shape-based puzzles of different subjects that stimulate child imagination.